Justin Lewellen is a Director of Investor Relations of Humphreys Capital. In this role, he shares the story behind our team and communicates the strategy and performance of our investment platform while initiating relationships with long-term partners. Justin brings over a decade of finance, investor relations, and capital markets experience to Humphreys Capital. He began his career at Chesapeake Energy in 2006 and later served in various strategic finance and valuation-based disciplines at SandRidge Energy before becoming their Director of Investor Relations. In this role Justin was responsible for all corporate messaging and management of the firm’s institutional investor base. In early 2018, Justin joined the executive management team of Lagoon Water Solutions, an Oklahoma based oilfield services and midstream water logistics company. In his role as Chief Financial Officer, he oversaw all financial, accounting, risk management and strategic marketing efforts that culminated in a $500 million private equity commitment. 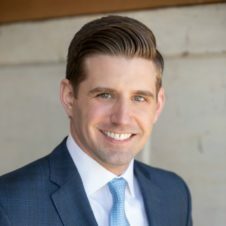 Justin joined Humphreys Capital in February 2019. Justin earned a Master of Business Administration with an emphasis in Finance and Risk Management from the University of Oklahoma in 2015 and a Bachelor of Business Administration in Economics from Oklahoma State University in 2006. He and his wife, Amanda, have two children and reside in Oklahoma City where they both serve as teaching leaders in Bible Study Fellowship.